The first essay explains how the losses and grief in people who love someone with Alzheimer's is a complex experience with several types of grief occurring at once. 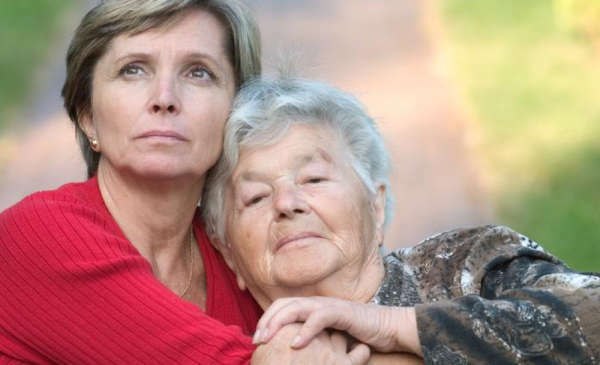 There is a specific process of dementia grief that, though a normal occurrence of grief, is made distinct due to unique aspects of the disease process of dementia. The way in which the person with Alzheimer's disease loses capacity and recedes from their loved ones presents specific hindrances to the natural trajectory of grief. Adapting to the new life circumstance or reality of loss in re-emergence. We can think of dementia grief as a specific type of anticipatory grief in response to compounded serial losses of varying magnitude and marked by ambiguous loss. 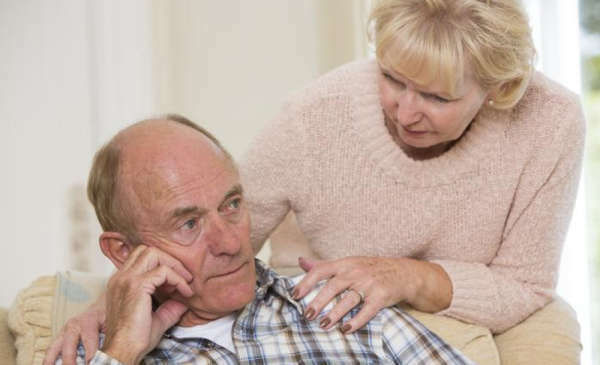 Yet, dementia grief can be distinguished from anticipatory grief in a seemingly small but significant occurrence: changes in communication due to impairments in awareness that occur even early on in the disease. With most terminal medical conditions, there is an opportunity for sharing feelings with the dying person until death. However, this choice is slowly taken from Alzheimer's family members due to language deficits and a lack of insight in people with dementia that can manifest even in the early stages. This can lead to the ambiguous losses of shared reality and the hope of reconciliation, discussed in the previous essay. It is important that we remember dementia grief is a normal grief process and experience with unique properties. While aspects of the process are certainly common to most family members, we each have our own experience that includes particular ways to express and fulfill our needs and move towards wellbeing. The core distinguishing factor of dementia grief is the incremental loss of self and identity in the person with Alzheimer's that occurs before physical death. This has been called the receding of the known self. Receding of the known self is defined as the changes in the self, including identifying personality characteristics, memories, and abilities, observed in people with dementia. A common experience among family members is that eventually the person with Alzheimer's will express themselves as though they are someone else, someone new, or otherwise not who they used to be. Family members can experience profound grief as they grapple with and try to make sense of the loss of the person they know. 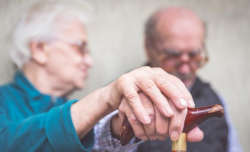 Yet, of course, their loved one is still alive, and though they may not act like the same person caregivers once knew, they are the same person and family members strive to remain connected to them. This paradoxical experience of the receding of the known self is the heart of the ambiguity of dementia grief. A person is in a state of separation when they suffer a significant loss. Separation as a state is characterized by compounded serial losses. Each loss is experienced as a separation from the person with dementia, from the life one has lived in the past, and from an anticipated future. It may seem surprising, but family members do not always recognize the losses that occur and many do not consider themselves grieving. This is especially true in the early stages of dementia but is a characteristic through all stages because our culture often does not recognize grief until a person has physically died. Acknowledging loss and grief can be helpful for people to name it and understand their experiences are expected and normal, given the situation. Acknowledging loss and separation facilitates movement of the process into the next state of liminality, and can be inhibited through resistance or denial of losses, or an inability to emotionally acknowledge losses. Thus, it is important that family members not only educate themselves on dementia but also find a community of support where you can share your grief honestly, with a sense of safety. Liminal derives from the Latin word limen, which means threshold. In crossing a threshold, we move from one place or state to another; when one stands in a threshold, however, one is not in either place. Liminality is a state of transition, of being in-between a previous situation and an emerging situation. This state of being betwixt and between is an apt description of an experience of ambiguous loss and thus the liminal state is linked with ambiguity and the receding of the known self. In the liminal state, the facilitating behavior that allows the grief process to further unfold is tolerating difficult emotions. The process can be hindered if painful feelings are avoided or otherwise suppressed. Consequences of this avoidance can result in unhealthy or compulsive behaviors, such as indulging in food or alcohol, angry outbursts or chronic distracting activities. Of course, our reticence to acknowledge and deal with painful feelings is a human quality we all share, not only those living with dementia in a loved one. Frankly, at times, distracting one's self from one's suffering can be a healthy coping mechanism. We all need to be aware that distracting ourselves can turn into unhealthy suppression. At times, family members need to simply trust that eventually, through tolerating painful emotions, the grief process will unfold into clarity and the possibility of adaptation to the new, emergent situation. 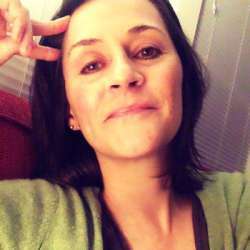 Through my years of working with families living with Alzheimer's disease in a loved one, I know of no better coping techniques for liminality than practicing some form of mindfulness and being a member of a supportive community. As difficult feelings are tolerated without avoidance or suppression, a sense of clarity moves naturally into states of re-emergence in which recognition of a new landscape, inner and outer, enables adaptation to losses. When clarity emerges, losses one has experienced can be acknowledged, accepted, and their consequences adapted to. Adaptation is enacted in behavior, such as arranging for new circumstances in care, taking over a responsibility previously held by the person with dementia, or learning to communicate with your loved one in a new way. Adaptation can be applied to a specific loss (intimacy, social interactions, loss of skills, etc. ), or, it can be a grounding acknowledgement that one is moving through the stages of the disease (i.e., realizing one has moved to a new stage of Alzheimer's due to an important functional loss, such as driving). The various behavioral adaptations signal a resolution of loss in a practical manner, i.e., the loss has been recognized, accepted, and incorporated into daily life. These practical resolutions lead to re-emergence into a new reality, having gained valuable experience and skills. It may bring a sense of finality, albeit a temporary one, but one that should be embraced with gratitude for what it is. Adaptation is a crucial step for caregivers in providing an aspect of closure and stability, which can counteract the great ambiguity at the core of the experience of dementia.